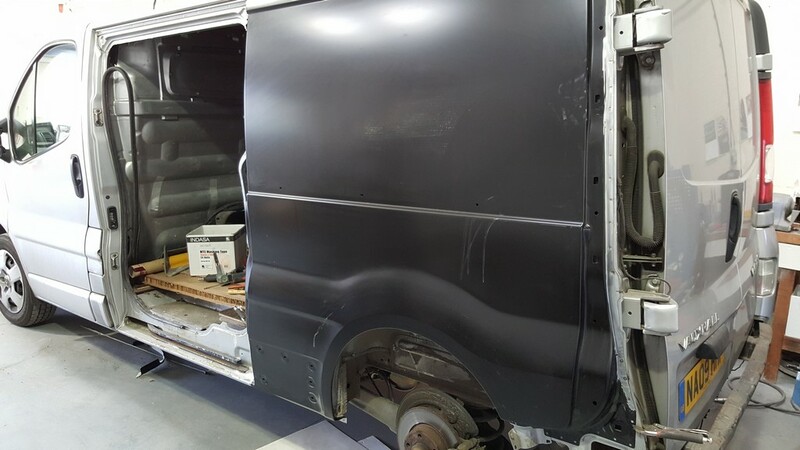 We have all the equipment to replace large/small welded panels ! 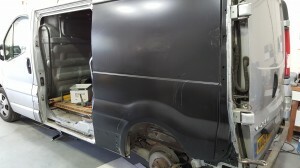 We have a Car-o-liner spot welder to recreate the original welds and finish. 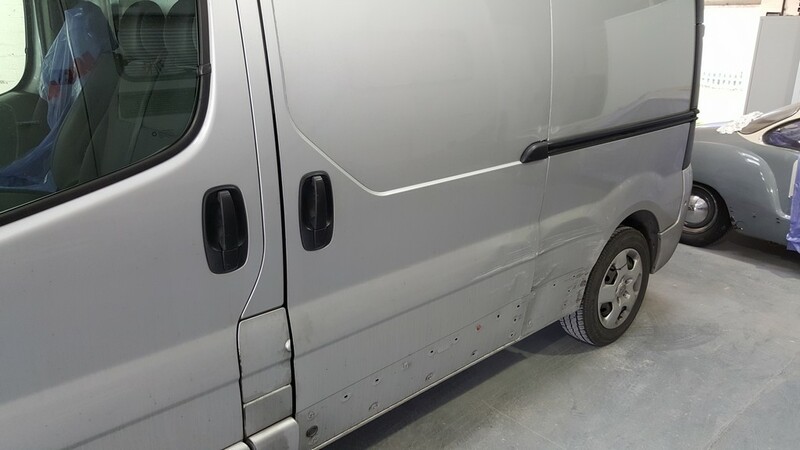 Van with damaged panels . 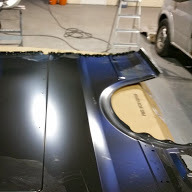 Rear wing has been removed and new panel welded into place. 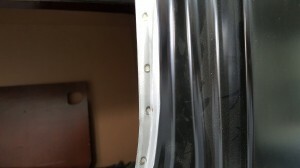 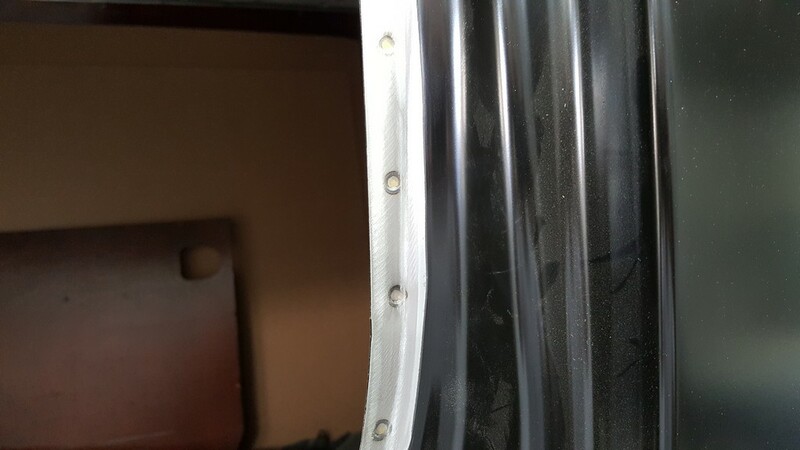 Close up of the spot welds. 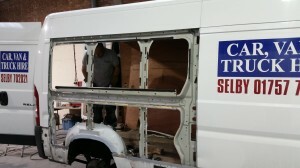 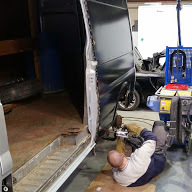 Another van we have replaced panels on. Panel being welded on with our spot welder.